Suddenly, Last May: Shall we Steal a Cadillac? June is here, which means it’s time to look back at another month of movie watching, tv binging, and book reading. To avoid excessive recaping, I’ve decided that on the first weekend of every month, the Suddenly post will replace the usual FWeekly one, but I’m keeping the links! May was considerably more productive than April. 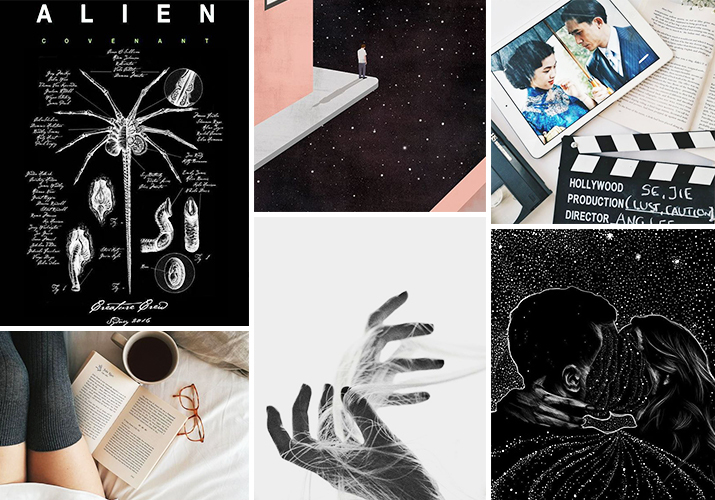 Not only did I watch and read more in general, but also I came back to blogging and managed to publish six posts in a bit over two weeks! I plan to raise those numbers in the future, but for now I think it’s just fine. Movie wise, it’s was pretty awesome. I saw 11 movies, largely because tickets were significantly cheaper for a week here (in fact, most of the times they were free! ), so I ended up seeing a bunch of new releases. I did a couple of double features, namely Guardians of the Galaxy + Vol. 2 (loved it), and Prometheus + Alien: Covenant (did not love it). The other two premieres were awful: I saw Unlocked (never heard of it, but King Arthur was sold out and tickets were free; don’t waste your time, though), and Pirates of the Caribbean: Dead Men Tell No Tales which was so bad, it bordered on offensive. I also saw my May Blind Spot, À Bout de Souffle (working on that draft! 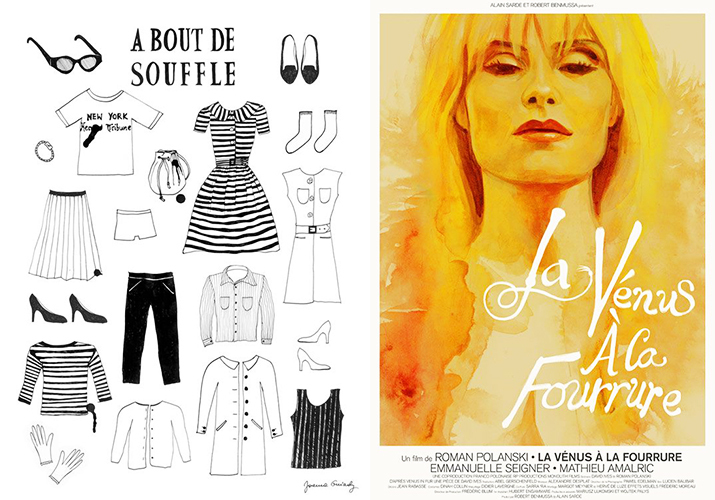 ), Roman Polanski’s La Vénus a la Fourrure, and rewatched Vicky Cristina Barcelona, because it never fails to entertain me. I also watched a portuguese film, Jacinta, which was not good. Last but not least, though certainly the most awkward one, I saw a short of David Lynch cooking his favourite quinoa recipe. Now, I love quinoa, so it was kind of cool. But also weird. TV wise I just finished Twin Peaks and saw the first couple of episodes of the revival – with all those movies there wasn’t much time left! I haven’t written anything about them yet partly because I couldn’t, but mostly because I honestly don’t know what to say. The third episode had me a little scared thinking it might get too surreal, but then the fourth episode was actually really good, so I’m confident it’s heading the right way. It stops here. With me and you. It ends with us. Where it comes to reading, it was a pretty good month, too. It finally looks like I’m out of the reading slump, having managed to read no less than four books! I mean yeah, three of them are romances than I read in like two days each, but still. I’ve talked a bit about some of them, namely Dating-ish, which I LOVED, and Hunted, which turned out not so good and took forever to finish. 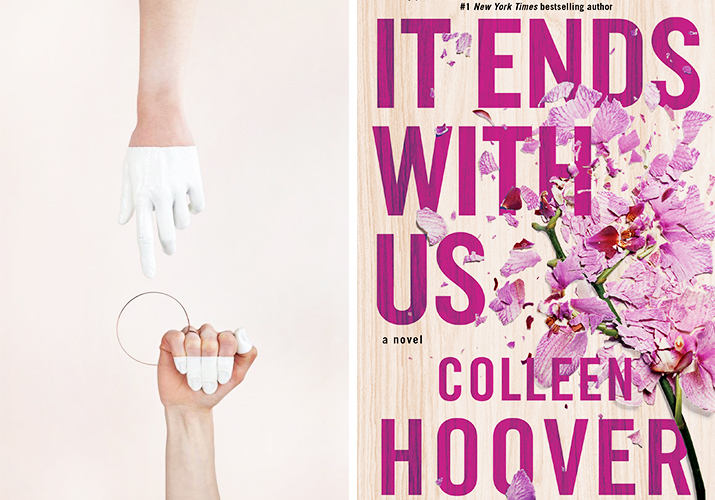 Besides these I’ve read an MC romance, Ride Hard, (okay I know, but all my easy romance readers out there, you get me) and It Ends With Us, by Colleen Hoover. Now, I’ve only read one other book by Hoover (Maybe Someday) and I didn’t really like it, so I wasn’t expecting much from It Ends With Us because I figured it would be more of the same. But I was SO wrong. I can’t say it was perfect (wasn’t that big a fan of how Ryle’s character was handled), but it felt so personal and real, equal parts sweet and wishful and sad and heavy, and when you get to the end of it and read the author’s note, you’ll know why. So even if you didn’t like some other book from Colleen Hoover, give this one a shot. + a new podcast episode on On The Waterfont! + and My Movie Alphabet Vol. 2! + Anna at Film Grimoire shares 5 Things You Need To Know Before You Watch The Twin Peaks Reboot, and it’s spoiler-free! + Mettel does her reading wrap-up for May, and she’s now a shark of awesome too! + and Katy reviewed Wonder Woman, which I’m going to see today, woo! And that’s it for this month’s recap! Please tell me you also hated / loved some of these books and movies because it really was such an up and down month! Next Post 8 New Book Releases to Read in June! oh god thank you for that gifset ? I am curious to check out your review of Breathless. I think its the only Goddard movie I have seen. Alien Covenant is bad and in my mind it makes Alien 4 look epic in comparison. Will be posting my thoughts on that flick soon. The List of Shame Update: We’ve Hit 80%!